No pictures found for plate number 2RC989 in Massachusetts, United States. click here to add a picture. No videos found for plate number 2RC989 in Massachusetts, United States. click here to add a video. No owners found for plate number 2RC989 in Massachusetts, United States. click here to add an owner. 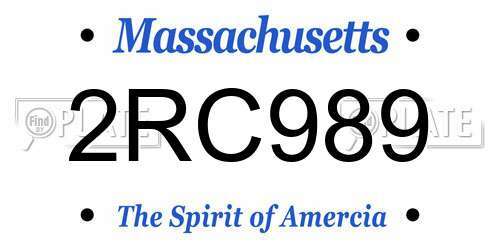 No related websites found for plate number 2RC989 in Massachusetts, United States. click here to add a related website. Subaru will notify owners, and dealers will replace the passenger front air bag inflator, free of charge. The recall began March 6, 2017. Owners may contact Subaru customer service at 1-800-782-2783. Subaru's number for this recall is TKB-17. Subaru's recall campaign number is WQE-41.Owners may also contact the National Highway Traffic Safety Administration Vehicle Safety Hotline at 1-888-327-4236 (TTY 1-800-424-9153), or go to www.safercar.gov. 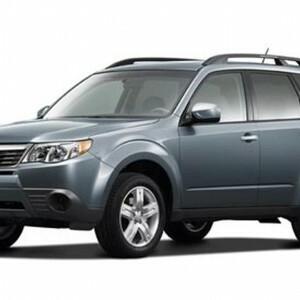 SUBARU IS RECALLING CERTAIN MODEL YEAR 2009-2012 FORESTER VEHICLES MANUFACTURED FROM NOVEMBER 26, 2007, THROUGH MARCH 13, 2012. THE AUTOMATIC LOCKING RETRACTOR in the SEAT BELT ASSEMBLIES LOCATED IN THE REAR CENTER SEATING OF THE AFFECTED VEHICLES DO NOT MEET LOCKABILITY REQUIREMENTS AND FAIL TO COMPLY WITH FEDERAL MOTOR VEHICLE SAFETY STANDARD NO. 208, ¿OCCUPANT CRASH PROTECTION.¿ SPECIFICALLY, THE ASSEMBLIES MAY NOT PERMIT PROPER INSTALLATION AND SECURE ATTACHMENT OF A CHILD RESTRAINT IN THAT SEATING POSITION. SUBARU'S RECALL CAMPAIGN NUMBER IS WQA-37.CUSTOMERS MAY CONTACT THE NATIONAL HIGHWAY TRAFFIC SAFETY ADMINISTRATION'S VEHICLE SAFETY HOTLINE AT 1-888-327-4236 (TTY: 1-800-424-9153); OR GO TO HTTP://WWW.SAFERCAR.GOV. SUBARU RECALL NO. WVF-16.CUSTOMERS MAY ALSO CONTACT THE NATIONAL HIGHWAY TRAFFIC SAFETY ADMINISTRATION'S VEHICLE SAFETY HOTLINE AT 1-888-327-4236 (TTY 1-800-424-9153), OR GO TO HTTP://WWW.SAFERCAR.GOV.